Pinterest is my jam! Seriously, it is this social media strategists’ favorite social media network out there, and for good reason. Pinterest drives 5x more traffic than Facebook and Twitter combined! Let that sink in for a moment while I share 5 quick ways to more repins on Pinterest. If you are reading this post, you probably have a Pinterest account, but do you have a business Pinterest account? If not, CONVERT! By converting you are accepting the fact that Pinterest is no longer your playground but an important part of your social media strategy. Although the outward appearance of a business account is the same as a personal account, the details that you will have access to are what sets the two apart. A business account will be able to give you statistics that will help you measure your Pinterest success (repins). You will be able to know how much traffic is coming to your blog from Pinterest, which pins are performing best, what your audience likes, and more. All of this is important in building a Pinterest strategy. Plus, converting to a business account is free! Convert here. What are Rich Pins? A rich pin—which can be an app, movie, recipe, article, product, or place—is a pin that includes extra information on the pin itself. Pinterest gives priority to these pins and recommends them to its users because the content is ensured to be good and valuable. How does Pinterest know that? Well, you have to apply to use rich pins and the process is so easy. First of all, you have to have the Yoast SEO Plugin installed on your blog’s dashboard. (I highly recommend you having this for many other reasons as well) Next, you go to the Rich Pin Validator and apply. Easy peasy, and they approved me within hours. Since I began using rich pins, my site traffic and Pinterest engagement have increased significantly. Here is an example of what a rich pins looks like compared to a non-rich pin. Which type would you prefer to repin? Did you realize that Pinterest is known as the new Google search engine? Seriously, I go to Pinterest to search for something before Google now…as do many, many others. TAKE ADVANTAGE OF THIS AND FOCUS ON SEO! Remember the Yoast SEO plugin that we need for rich pins? This is also necessary to make sure that your blog post is SEO ready. As far as your blog posts go, insert in the ALT TEXT area on your media image exactly what you wish your Pinterest image description would be. For example – 5 ways to more repins on pinterest – this is a decent seo description. To add some pizazz to this description I did this – 5 Ways to More Repins – Want more repins on Pinterest? Follow these 5 quick tips and watch the repins start flowing in! – This description will now show up automatically when a fellow pinner pins your image. Seriously, read up on SEO…it is vital for serious Pinterest success. Vertical, clear, well-styled, with call-to-action text, and colorful content get more repins on Pinterest than horizontal, dim and dark photos. Text on photos give a pinner reason to click on the photo and ultimately repin it. I prefer sized images at 600 x 1000. Insert this image in your blog post, I always insert mine at the end and put a gentle reminder for the reader to pin the image. Need assistance in the stock imagery department? 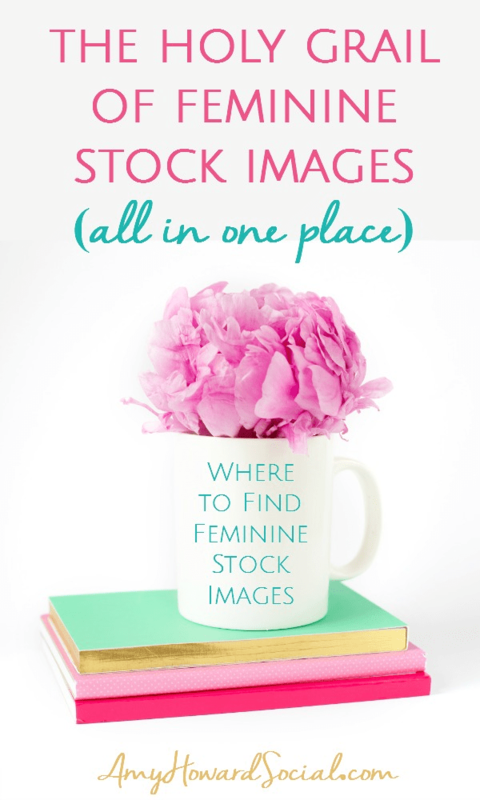 Take a look at the AMAZING stock image library at Haute Chocolate! I dedicated an entire post on her images – see it here! Group Pinterest boards are just like any other Pinterest board, but they’re pinned to by more than one person rather than just the creator. This is great for several reasons. Let’s say you have 1k Pinterest followers…a group board you may pin to could have 5k followers…see where I am going with this? Pinning to group boards exposes your content to more pinners, hence you are likely to receive more repins! Head over to Pin Groupie now to start searching for Pinterest group boards to start following. There are all kinds, you are bound to find one to fit your niche. Interested in joining a social media tips group board? Follow my Social Media Tips for Creatives board! So tell me, what are your juicy secrets for gaining repins? I am all ears! FYI, I don’t think I’ve said the word “repin” so many times before. Need some Pinterest help? I offer Pinterest cleanups and management – Check out my Pinterest Party Packages! « Stuck In a Facebook Rut? Increase Engagement with These 6 Types of Posts! I tried to use the Pin Groupie link. That website is currently unavailable. Just thought you would like to know. Really awesome tips. I’m always looking to up my Pinterest game. I love Haute Chocolate too. I joined last week. Great post girl. First of all Drink Coffee and Prosper – we could be soul sisters! 🙂 Isn’t Haute Chocolate amazing? I don’t know what I would do without her images. Good luck to you on gaining more repins on Pinterest, if you have any questions please don’t hesitate to ask! So helpful! I was wondering what the purpose of “ALT text” on images is. Just went back and added ALT text to all of my images on every post! (I am. new blogger, so I only have 8 posts.) You rock.